There’s no plaice for racism in our sport. 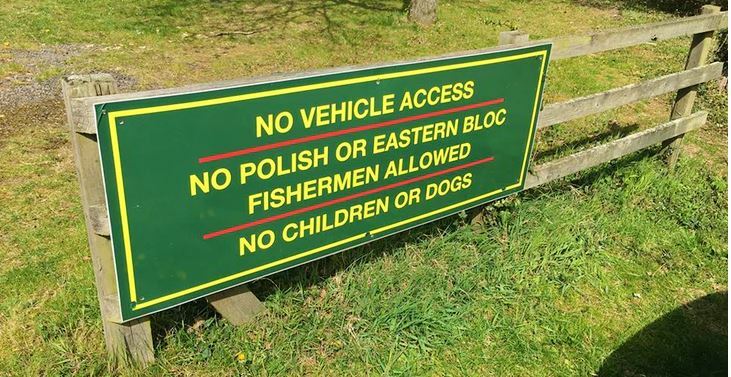 A fishery owner has put up this sign at his fishery — I didn’t realise we were still living in the 1930’s – very sad to see such blatant racism. 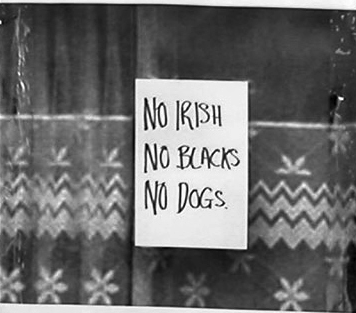 Also very sad to see – in fact disgusting to see – that the Police don’t think that its any of their business to prevent this sort of thing from happening, as they told the complainant to go to the Equality And Human Rights Commission – who also refused to take this case forwards…. So the complainant (A respected UK based Polish Angler) has decided to take out a private prosecution. 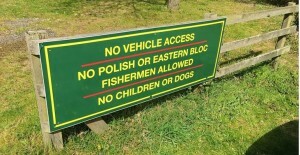 Salford Friendly Anglers Society have pledged £200 to support this threat of court action – we urge you to make a pledge to help too – there’s no place for racism among the brothers and sisters of the angle. Remember this blast from the past ? There’s no difference.